I’ve dreaded writing this post, because it feels like admitting a bit fat failure. But I figure I owe you guys an explanation, especially after all this time. Unfortunate, but I completely understand. Unfortunate, but I understand completely. Thanks for letting us know, and we’ll see you in September! Aaaand we’re back ! I owe you guys an explanation, though. What the f happened ? A Good Looking Slav says :I’m wondering about the ball-lights, the desk lamp and the lift — are they powered by electricity ? 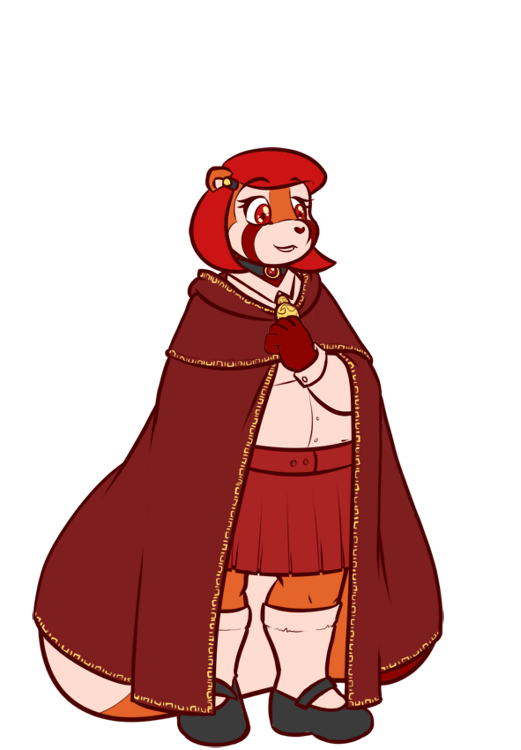 I’d love to know what those symbols on the Headmistress’ cloak and hat mean. Long story short, I started working on this page in June, shortly after posting the previous one. And then, summer funk set in. I’ve always been subject to depressive moods, and summer has always been a particularly hard season on that aspect. I live in a town where 90% of the population is university students, and so the town is quite dead during the summer, to the point that many stores and restaurants just close for 2 months. So when you add that ghost town feeling, to the “everyone but me is on vacation”, to the absence of kid’s laughs from the nearby school, you obtain a sad mood Ethan that doesn’t work very fast. With other, paid projects to tackle and limited energy to do so, I kinda put CH on the backburner for a few weeks. And then came the move. As you may remember, about one year ago the apartment below mine burned down – I since learned that it wasn’t an accident (there were 3 fire starts) and that it may have been done by the tenant to fraud his insurance – and my apartment was thoroughly smoked, which caused me to move to a temporary apartment. Seven months later, making it September, my estate agency unexpectedly called me to inform me that the apartment had been cleaned and was ready for use. Ensued a somewhat rushed move (with no van or truck, only my roommate’s parents’ car >>) that resulted into even more delays for CH. The delays in restoring my internet line didn’t help. After things calmed down, it was already November. And when came the time to work back on CH, I noticed something : it’s really, REALLY hard to get back to working on such a big project when you have stopped for a while. I simply couldn’t sit down and resume work from where I stopped. To complicate matters even further, I rewrote parts of the script which had grown stale (so to speak) in these months and replaced them with fresher ideas, which added even more delays. So in the end, as days and weeks added up, CH ended up with several months of hiatus. Whoops. let’s see smooth skin, fin like protrusion from under the cloak, would this be some sort of shark like race? Let’s hope the Headmistress is understandable cuz that Bunny dude… wait, oh is that bunny a lady? Either way doesn’t look happy! huh so miss Howitzer, does that mean she goes off with a bang? I bet she is head of security or something. While a profuse apology may be excessive, some apology is necessary. You don’t want to lose control of that key. Perhaps a little flip or swish of that fluffy tail of yours could sweep that key towards you. Gather your things and be out of sight and mind as quickly as possible. Headmistress Tsukisame appears to be an aquatic species. I wonder how rare would that be? And it looks like yet another magic library that Able is banned from. Uh oh, punishment is in order. Let’s hope they go easy on you. 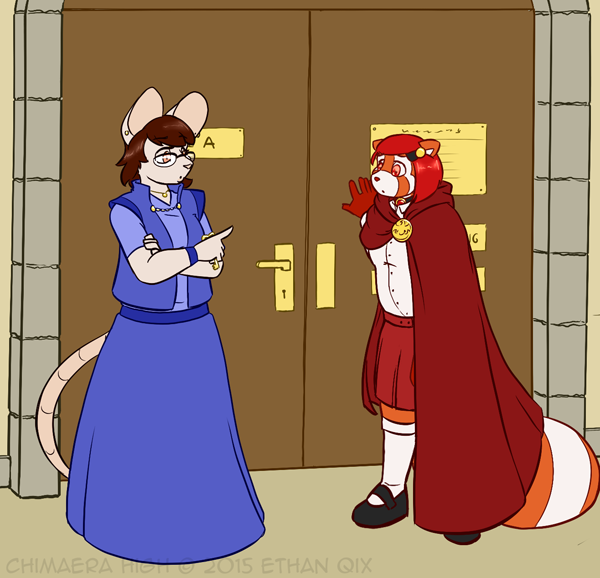 I’ve had several IRL problems that unfortunately caused me to put CH on the backburner. However, I’m currently working on the page, and I’ll explain in more detail the reasons for the hiatus once I post it. Current goal update date is some time this week. 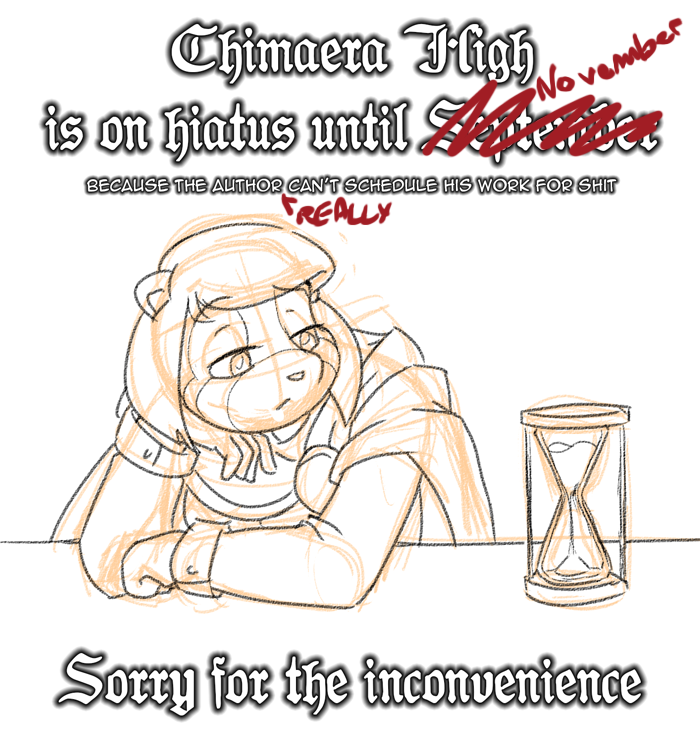 Hey guys, Chimaera High is back after an absurdly long hiatus. I want to apologize profusely for the delays, which are due partly to real life getting in the way, and partly to me having terrible scheduling skills. As I announced here earlier, I stayed at a clinic for 3 weeks, and that put me behind schedule something fierce. Then I attended my brother’s wedding. Then I added a bunch of commissions in the mix to make up for the money I wouldn’t make during that time. CH stayed a secondary priority for a while and kept getting late. So I decided to change some things. 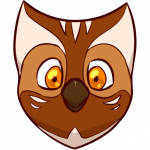 First, as you might have noticed with the smoother anims, I started using Flash. I still have to improve some things, but it helps tremendously when I make anims that are more than 3 frames long. Like that shoulder grab :3 I also added a progress bar on the right, so you can follow my progress on the next page and make sure I’m not actually dead. Oh neat a marionette/golem/automaton kinda thing that’s really cool… does this mean there are such things such as prosthetic limb replacements? Are such things also used for combat and assassination? ehem sorry i find this sort of thing immensely interesting at any rate Yume is definitely cute. So tell us about this Yume person… oid… thing. Depending on how much of a “paper trail” you want to leave some subtly might be in order. Likely Yume will happily tell anyone with authority who asks ‘this one’ what searches were done and by whom. So asking for a specific book may draw attention later, depends on how tight security is at this library. Best to get directions to that dream section, unless we are talking about a section with several hundreds titles just on the topic of dreams. And don’t forget to smooth your tail out, nothing says ‘up to something’ like a frizzed tail. Oh no, as it has been a couple of week or so since you posted this. I hope you are doing better now. The flash animations are lovely! Please do take you time in doing the pages and be sure to make sure your health comes first! I am glad to you see you are back! I am glad to see this comic still going. Take your time. Gthefurrybiker says :Ask Miss Kiyori what she knows about dream interpretation. Working in a library, she may be read on the subject. You don’t have to tell her it’s for your dreams, say it’s for an essay. Get in the library, and lock the doors behind you. No interruptions! No shenanigans! What do you know of Yume? is there anything you can do to get her to help you dig up something good? can Yume be trusted with this sensitive topic or should you venture forth into the stacks alone? do you know what kind of book would have useful information or are you just kind of flailing hoping you bump into the right one? Return the book you needed to return then once you have gathered the books on dreams make a Book Fortress and prepare the think tank… actually are there private areas that are private for study where you cannot be disturbed easily? Ethan speaking here. There was a fire at my place on last Monday. My neighbor’s apartment caught fire in the night, and fortunately everyone was still awake so we could evacuate quickly. 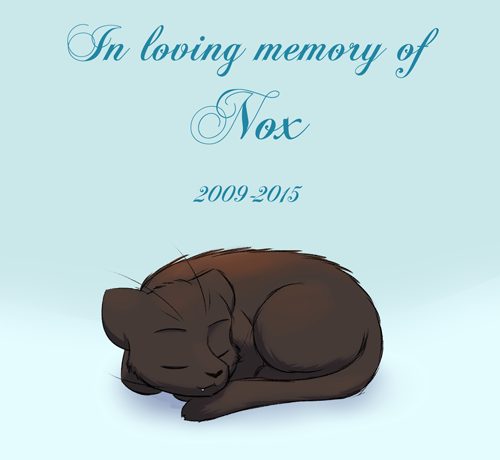 Bastet, receive into your arms your loving Guardian Nox, tragically taken too soon from this Earth by catastrophe. He was loved, and will be missed. Actually that’s a typo, she did mean twenty. I sometimes mix these two numbers for some reason.